With the release of their first single “The World is Ours”, Eleven Past one’s pop hit spread across Canada like wildfire. 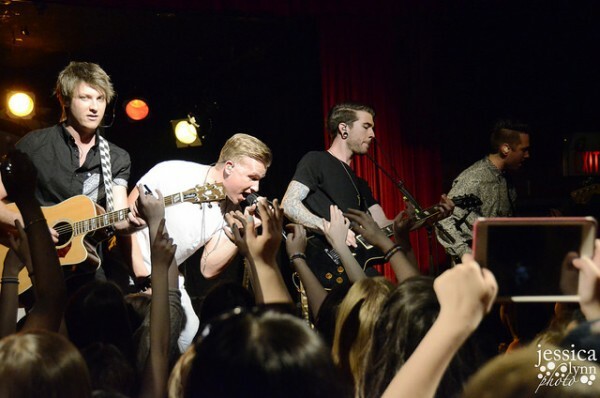 With their growing success, the boys got a deal with Warner Music Canada and released their first studio album; the World is Ours in November 2014. The eight-track record features collaborations with Ryan Williams (worked with Pink, Kelly Clarkson), Ryan Stewart (worked with Carly Rae Jepson, Victoria Duffield) as well as Andy Stochansky and Goo Goo Dolls front man John Rzeznik. Since then, Eleven Past one has made appearances at the MMVAs and more recently walked the red carpet at the JUNO awards, grabbing numerous best-dressed spots (including ours!). Goes to show that not only is their music on point, but their style is on fleek too. 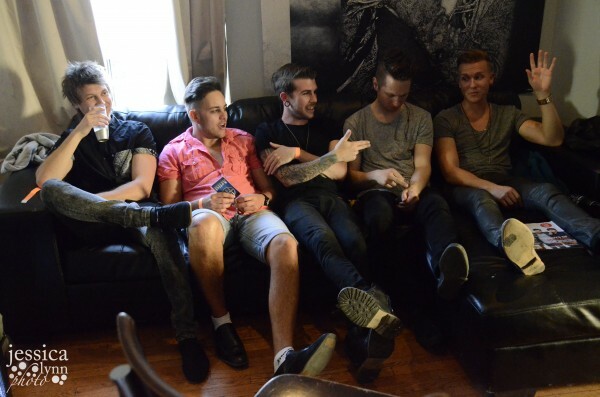 Faze caught up with Eleven Past One backstage at their Canadian Music Week showcase to chat about the roots of the band, their sound and their individual interests. Where did your name of the band come from? Daniel: We see eleven past one all the time, everyday. The number literally follows us everywhere. Also, my grandma’s clock stopped 15 years ago at eleven past one and she never took it down. Bodan: It has always been my lucky number (check out his arm tattoos if you ever have the chance!). How would you describe your music to someone who hasn’t heard any of your songs? Daniel: Our music is pop infused with some dance elements but we are evolving. There is also some rock sounds in there too. Particularly, this EP is all around shiny-pop music. Tell us a little bit about what inspires all of your style. Steven P: I have more of a fisherman style with some swag. Daniel: Scott Disick inspires my style, and I take inspiration from people I see on the street. Kyle: I wear anything that’s black. Bodan: Anything black and grey and hipster style. Steven R: I wear Daniel’s hand-me-downs because he usually wears his stuff once. Might as well not waste the clothes. Who were your music inspirations growing up? Daniel: I listened to a lot of gospel and Christian music, that’s what started me as an artist. Bodan: I listened to a lot of punk rock, late 90s music like No Effects, Blink 182, Strung Out, and a lot of classic rock. I even listened to some Abba. 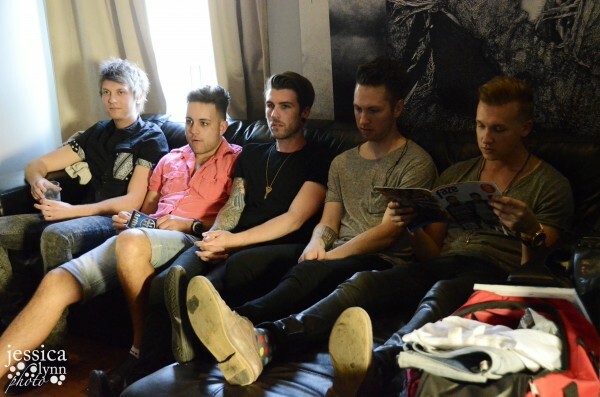 Kyle: I grew up playing in church first and then I got into some punk music like Underoath. What advice would you give to aspiring bands? Steven P: Just write good music and let the music guide you. Daniel: Don’t give up. You have to just keep striving. There are so many downfalls and low points but there are also so many more high points later on. Kyle: Stay humble when you get there. Stay tuned for more from our exclusive chat with Eleven Past One in our Summer 2015 issue. But for now we’ll leave you with their latest single “I’m Ready” below.